With a heavy wave of cyber attacks happening in today’s times, it is damaging to individuals, companies, and even governments. 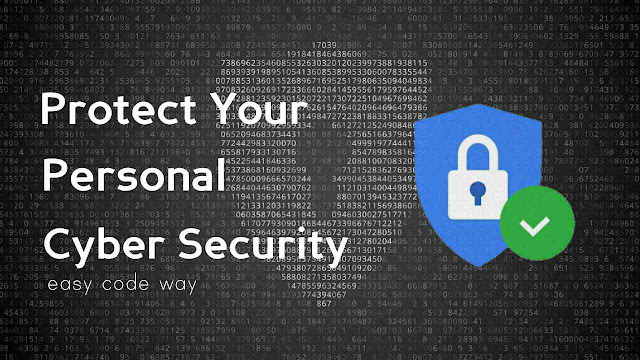 Since there have been so many attacks that have threatened the security of these types of entities, it is important to have cybersecurity to keep a watch on personal information that could be compromised. Fortunately, there are three things to understand when it comes to the importance of personal cyber security. Cyber attacks have been increasing rapidly since 2013. Even the cost of these crimes has risen since 2013. Reports have been made about the potential increase in these crimes as the years move on, and it almost seems hopeless. Destruction, theft, and damage are only a few of the things that cybercrimes leave for the victims. With the increase of threats, it is important to invest in a high-quality cybersecurity team. Security is not just left up to the personal cyber security teams, but it is also important for the individual or company to keep a watch on their personal information online. With the rise of cyber attacks, the severity of these attacks has risen as well. For this reason, personal cyber security is taking a step up. In fact, the attacks are becoming so destructive that the President of the United States has signed an order to increase the focus on cybersecurity improvements, much needed to keep the infrastructure systems of the country intact and out of the wrong hands. When looking to the future as an individual or company, it is important to find a cybersecurity company that holds the same values and beliefs as you. These values will work better to protect the personal and private pieces of information that might be in harm’s way. One of the leading personal cyber security companies, Rubica, is here help protect you and your personal information. Rubica was created and still exists to protect the individuals who use the internet and other digital measures. This personal cyber security company has been helping reduce the number of cybercrimes for years, and they are even powerful enough to protect both the individual and large corporations from cyber attacks. Located in the US, this personal cyber security company is a full-service company that handles everything from small devices to large, private networks. They monitor the activity from all devices, and they constantly monitor your personal information to keep you safe from hackers. This cyber company has been funded from some of the leading technology companies out there. They are investors that have funded Rubica to ensure that this cybersecurity company has the technology and equipment necessary to keep your private information private and out of the hands of hackers. Rubica also has several financial services, legal firms, insurance firms, and investment groups to ensure that they can provide only the best services to their client no matter where they are from or the size of their data. When you are looking for a better cybersecurity company, Rubica is the company for you. They work behind the scenes to take care of your personal information and ensure that it stays out of the hands of hackers everywhere. All you have to do is download the app, setup your account, and let Rubica take care of everything else. Stay up-to-date - Keep your system updated with the latest software and antivirus. Browse Internet safely - Don't share your personal information on websites that don't use HTTPS encrypted connection. Avoid spam and scams - There are so many phishing websites available. Don't click on unknown links and share your information online. Add an extra security layer to your Google, Facebook, and other online accounts with 2-step verification. Keep your password security tight and change it regularly. Don't download or install applications from unknown sources. Don't use public Wi-Fi networks as they are more vulnerable to cybersecurity threats. Last but not the least, you can use third-party services (like Rubica) to protect your cyber security. If you have any questions in your mind about cyber security, feel free to share them in the comment section.